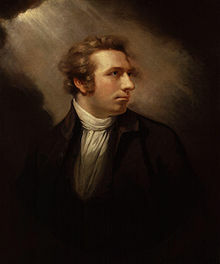 Henry Fuseli (1741-1825) was a Swiss painter unwelcome in his native country due to some political trouble. He eventually settled in England, where he became a stalwart at the Royal Academy and a master of Romantic painting. Naturally, Sir Thomas Lawrence couldn’t wait to tell Miss Croft just how timid a fellow this painter of supernatural visions really was. Fuseli had been invited to spend an evening at a wealthy patron’s country house. After dinner, as the ladies retired to the drawing room, the artist got up from the table and left as well. The gentlemen wondered why the guest of honor had abandoned them but consoled themselves with the notion that foreigners disliked sitting after dinner. When the ladies returned, without Fuseli, the host demanded of his lady where she’d put him. Remonstrances were exchanged while someone was dispatched to the artist’s room in the event he’d gone there to be sick. As is often the case with these country house mysteries, a breakthrough came by means of an unexpected observation from “below-stairs.” In this case, it was the lowly footman who found himself the subject of uncomfortable scrutiny when he admitted having directed Fuseli to the garden temple, a noted feature of the estate’s grounds, despite the gathering darkness. “What you bring that great big stick for?” asked Mr. Fuseli in his broken English. Fuseli refused to take either lantern or cudgel, and dismissed the footman upon arriving at the garden fixture. When his hosts at last discovered him, he was still inside, cowering in a state of considerable disorder. It seems he’d heard loud sniffing at the door soon after he’d been left at the temple, which turned into blood-curdling snarls and growling. Unable and unwilling to leave the temple, and so far removed from the house no one could hear his cries, Fuseli became terrified at the prospect of spending the night in the pagan temple, at the mercy of a demonic dog. Thank goodness for lack of scruples. This entry was posted in Regency, Uncategorized and tagged Cowper, Elizabeth Croft, garden temple, Henry Fuseli, Miss Elizabeth Croft, Northcote, Sir Thomas Lawrence, The NIghtmare by Angelyn. Bookmark the permalink. Thank goodness for historical correspondence! Old letters reveal so many fascinating details about notable figures from the past. Incidentally, I wonder what kind of dog it was? I imagine a Mastiff of some sort. If it weren’t for historical correspondence, this blog would be sadly lacking in content. As for the dog, there’s no indication what breed it was, but I tend to think you’re right. 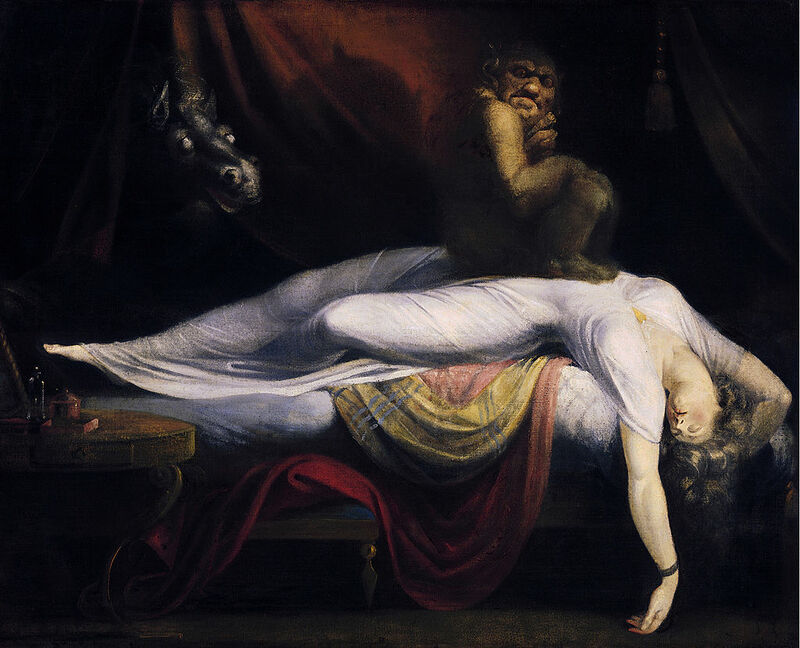 Further speculation (on my part) leads me to wonder whether Fuseli might have been overly afraid because of European (mainland) mythology connecting the devil to dogs.